Sleep with comfort in any position. The breakthrough top of the head design allows you to sleep in any position, even on your stomach. DreamWear’s innovative design* prevents red marks, discomfort, or irritation in the nostrils or on the nose bridge. Soft feel, unique in-frame air-flow and innovative air tube connection at the top of the head for sleep comfort. Designed to provide many of the benefits of nasal and pillows masks, DreamWear allows patients to have the best of both mask types. 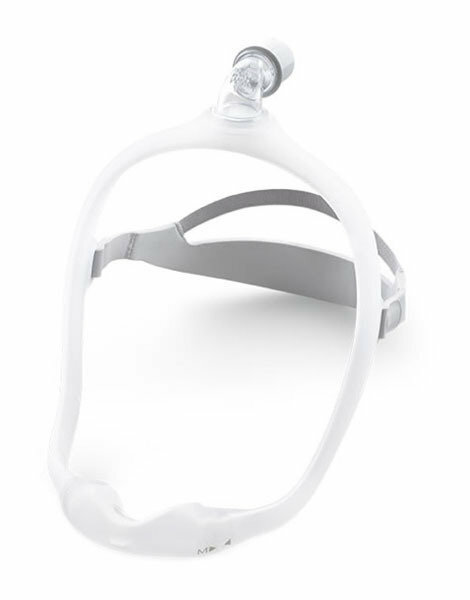 Its remarkable design directs airflow through the frame so patients can sleep comfortably.